MADISON – Lawmakers say reforms to a state employee benefits system that includes “golden health care parachutes” for some retirees are long overdue. But is there the will to move legislation that would cap unused public employee sick leave and their generous payouts in a Legislature where a bill eliminating sick leave balances for lawmakers couldn’t make it out of committee? “These stories are certainly getting my attention…It’s another situation where state government is on another planet than the private sector,” said Sen. Dave Craig. Thanks to Wisconsin’s generous sick leave conversion system, some retirees have banked hundreds of thousands of dollars they can use to pay for post-retirement health insurance premiums in the Wisconsin Group Health Insurance Program. As MacIver News Service reported this week in its series, “Bureaucrat Benefits,” the highest sick leave balance in 2017 topped $907,000 for a 69-year-old public employee with 27 years creditable service at a top annual salary of $290,000. That’s equal to more than three years of the retiree’s peak salary. Ranking second on the list was a 63-year-old retiree with nearly $841,000 worth of unused sick leave, equal to more than three years of salary. The retiree had 29 years of creditable service, earning a peak salary of $270,000. The 2017 list includes the 37 highest sick leave balances. Even the retiree at No. 37 boasted a sick leave balance of more than $348,000. The top 10 highest sick leave balances in 2017 totaled nearly $7.1 million, according to data from the state Department of Employee Trust Funds (ETF) provided to Wisconsin state Treasurer Matt Adamczyk. “There has to be a cap. In just about any other business you have a limit on the number of sick leave days you can carry over,” said Rep. Janel Brandtjen. The 69-year-old who banked $900,000 in sick pay benefits presumably will not have to worry about health care costs again. One retiree posted more than $1.17 million in sick leave balances. The 66-year-old former public employee retired in 2016 with 41 years of creditable service. At a peak salary of $330,000, the retiree earned the equivalent of nearly four years’ pay in unused sick leave. ETF does not provide identifying information of those in the retirement system. In 2015, the average number of paid sick days in the private sector was nine days – after 20 years of service, according to the Bureau of Labor Statistics. On average, workers in private industry received seven days of sick leave after their first year. 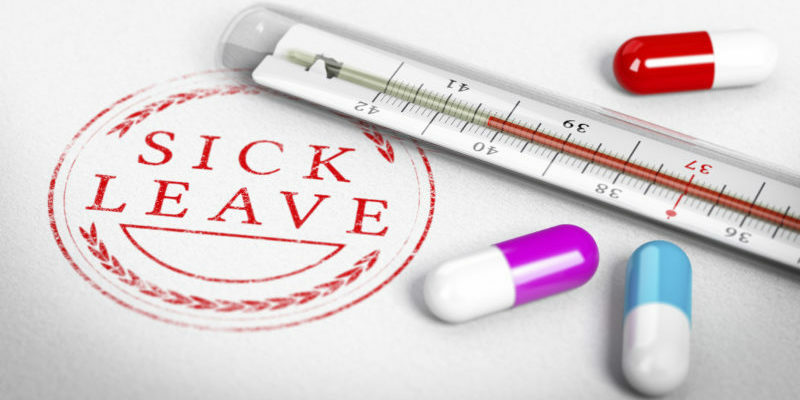 For public employees in the state retirement system, sick leave is calculated using the employee’s highest rate of pay. Similar to higher pension benefits, employees with higher value sick leave account balances tend to have a higher rate of pay, work longer and are older than the average retiree. Reform won’t be easy, if the past is any indicator of future results. In 2015, then-freshman Rep. David Steffen (R-Howard) introduced a bill that would have eliminated unused sick leave banking for state lawmakers. Legislators, who spend plenty of time away from the Capitol and legislative duties, earn 10.5 sick leave days per year. In March 2015, as Steffen was rolling out his legislation, the estimated value of sick leave credits for all 132 legislators was $2.4 million, with the annual taxpayer cost to fund the program at $80,700, the lawmaker noted. But Steffen soon found out how unpopular his proposal was, even with so-called fiscal conservatives. Steffen recalled that within 48 hours of introducing the bill a “senior member” of his party called him at home and screamed at him, insisting that the legislation diminished the office. He would seem to have the backing of at least some of his colleagues for another swipe at reform. Sen. Duey Stroebel (R-Saukville) has authored similar legislation on state employee retirement benefits. Brandtjen and Craig predict there will be a movement to reintroduce capping legislation next session.